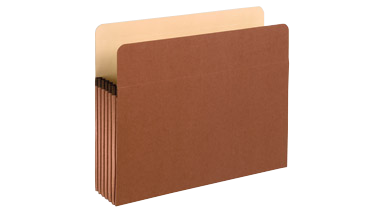 Expands for maximum filing, plus top front tab folds down for easy access. Reinforced gussets. Letter size. 5-1/4" expansion.